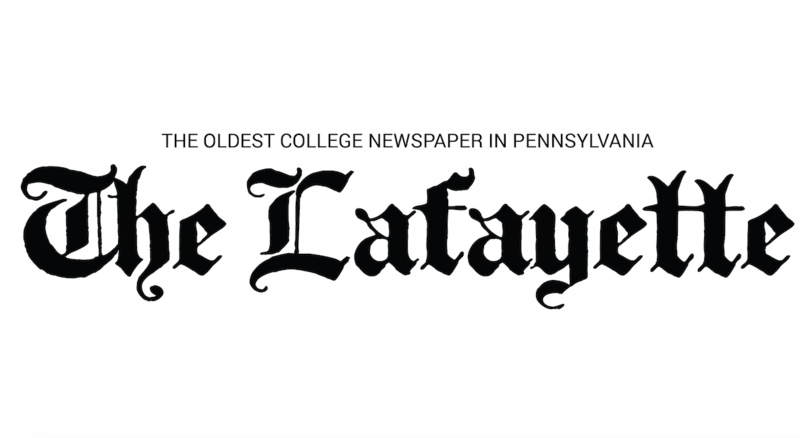 This past weekend, the Lafayette women’s volleyball team lost to Bucknell and Lehigh, falling 3-2 and 3-1 in the two home games. In the first match, the Leopards and the Bison wrestled back and forth, as the team pushed Bucknell to five sets before ultimately losing 15-10 in the final set. The Leopards started out strong, winning the first set with strong performances from two freshman outside hitters, Grace Tulevech and Leena Deegan, who contributed six and five kills, respectively. Bucknell would go on to win the next set 25-22, before Lafayette stormed back to win a crucial third set 35-33, led by Deegan’s 11 kills. 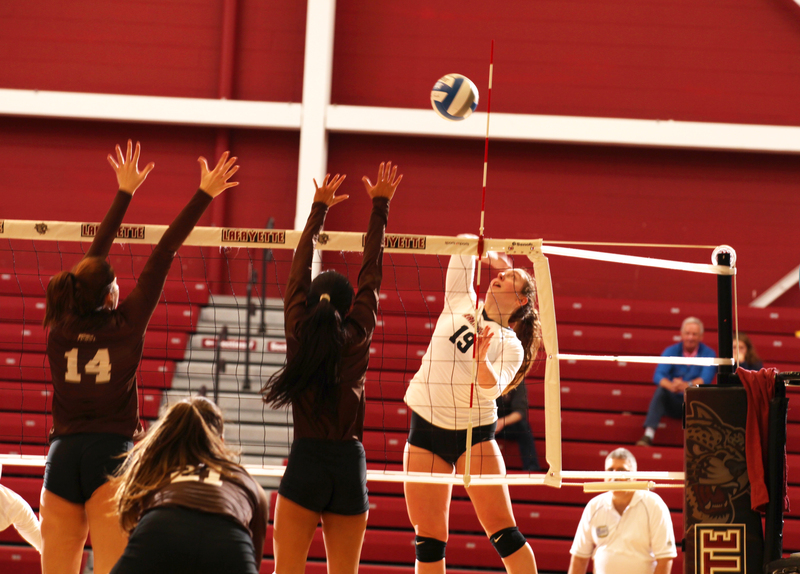 With a chance for their first Patriot League win on the line, the Leopards needed to win just one more set. Unfortunately, Bucknell finished strong with a 25-19 win in the fourth set before closing out the match with a 15-10 win in the fifth and final set. Despite the loss, Deegan had a career day with 34 kills and six blocks, breaking a 21-year-old Patriot League record for most kills in a single match. For her record-breaking performance against Bucknell, and an additional 17 kills against Lehigh the following day, Deegan took home Patriot League Rookie of the Week honors. After the loss to Bucknell, Lafayette hosted Lehigh in the second rivalry match of the season on Sunday, Nov. 4. Lehigh won the first meeting 3-0. The Leopards dropped the first two sets, 25-20 and 25-19, before winning 25-17 in the third set. However, Lehigh’s relentless offense landed the knockout punch with a 12-0 run in the fourth set to secure the victory. “It was a tough loss because Lehigh is our rival but it was well fought,” she added. The Leopards will wrap up their season this week, after hosting Navy yesterday, and traveling to Holy Cross tomorrow. Despite a difficult Patriot League season, team members said they are not discouraged as they look to end on a positive note. Although they have yet to win a game in the Patriot League, the team has grown extremely close and come a long way since the beginning of the season. Although the group has no seniors and only four juniors, Tulevech described how the team members have grown to “trust each other to get the job done,” highlighting the growing chemistry on the court.